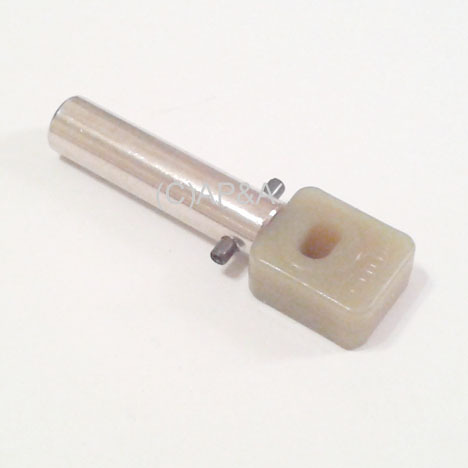 Metal flipper coil plunger with nylon link. Used on many Gottlieb games. Original factory part had an extended plastic guide tip that went through the end bracket on the flipper assembly. This tip was removed from production later on, and is no longer used. 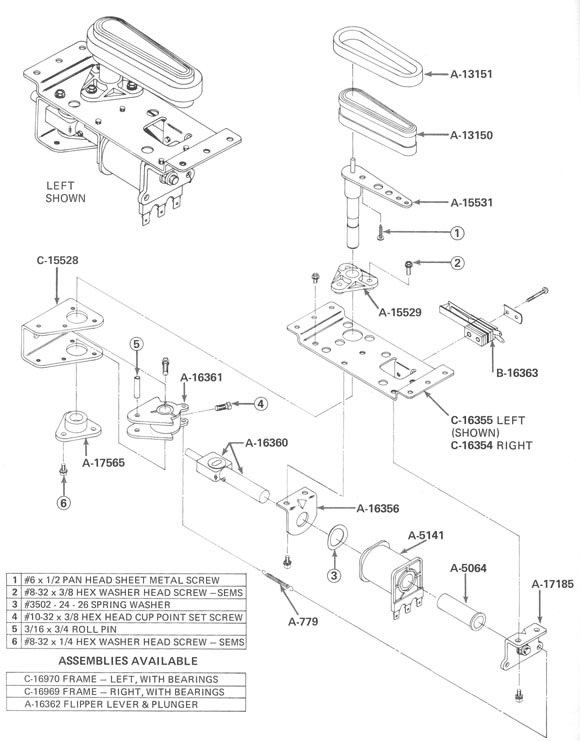 This tipless plunger assembly is compatible with originals that had the extended tip (see parts diagram below).